Sceptre, the British challenger for the America’s Cup in 1958, is believed to be the only UK challenger still sailing in British waters. Built for the Royal Yacht Squadron to challenge for the 17th America’s Cup, she has a colourful history from her early racing days to today, with members of the Sceptre Preservation Society nurturing her future and ensuring that she remains racing and cruising on the seas off the United Kingdom coastline. This traditional 12-metre classic yacht offers a unique and exciting experience in open sea sailing. Sceptre is spending this winter in Poole Quay Boat Haven, at the western end of the Poole town quay. Having carried out major works over four of the last five winters, we are planning to conduct only minor works this time - if you'd like to volunteer to help with some of these jobs, we'd love you to Get Involved! ​In early April we will move Sceptre onto a mooring off Brownsea Island. 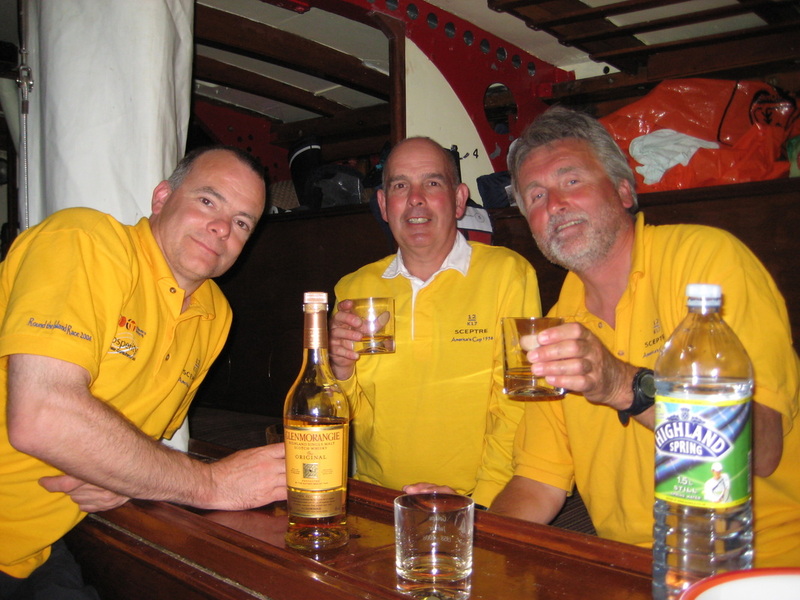 We are then looking forward to an active sailing and racing summer, entering the Falmouth Classics (14-16 June), the Round The Island Race (Saturday 29 June), and the British Classic Yacht Club's Classic Week (13-20 July) - contact us if you'd be interested in chartering Sceptre for one of these events. Sceptre can be chartered for any of the events mentioned above, or for weekends during the summer. For more information, please see our Charter Page, and contact us for more information. Interested in owning a share of Sceptre? We would love to hear from anyone interested in joining our established group of enthusiasts to maintain, improve and enjoy sailing this beautiful yacht - for more information, see our Ownership page, or get in touch with us. Sceptre was designed and built for the America's Cup series in 1958 - this fascinating film (Birth of a Challenger, held by the National Library of Scotland) shows her being designed by David Boyd and built in Alexander Robertson's yard in Holy Loch, her launch in April 1958, sea trials against Evaine on the Solent, and her preparations for the challenge in Newport, RI. 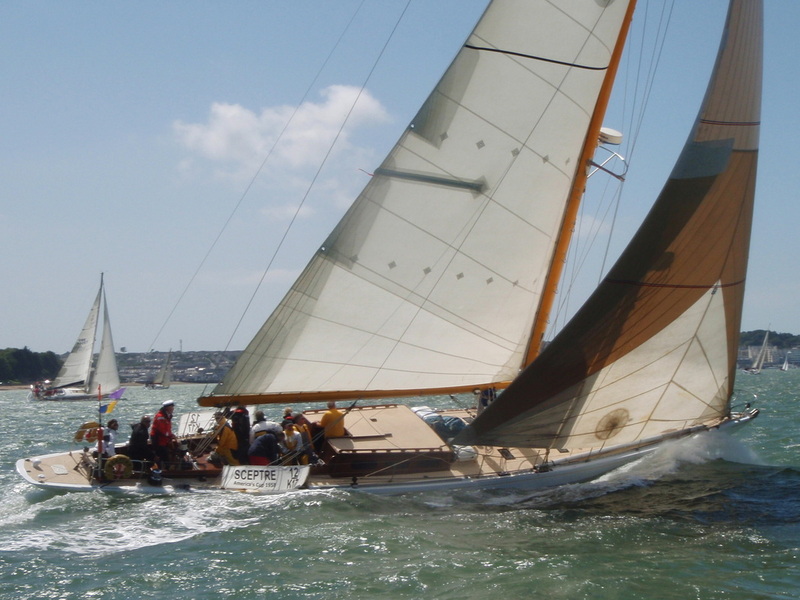 Many changes were made to convert Sceptre from a fantastic racing yacht to a stunning cruising yacht, and work has carried on over the years to maintain and improve her, to preserve her for future generations. 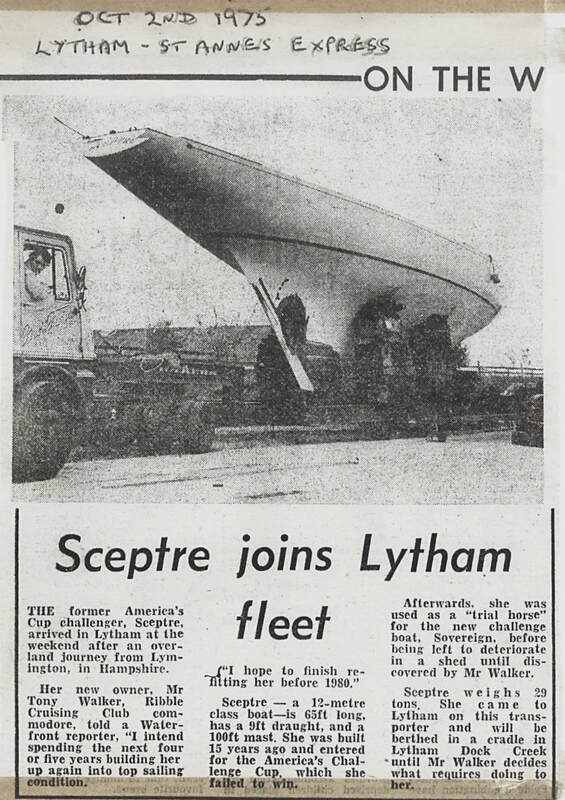 We are delighted that Tony Walker, who took on the enormous task of converting Sceptre in the 1970s-80s, has now written up a fascinating account of the 9-year project, which, following its completion, resulted in the formation of the Sceptre Preservation Society. 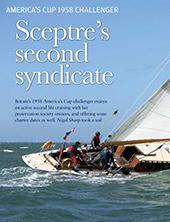 Find out why journalist Nigel Sharp thought a trip on Sceptre was "one of the sails of my life"
In 2012 Sceptre was registered as a National Historic Vessel, in recognition of her place in British sailing history. 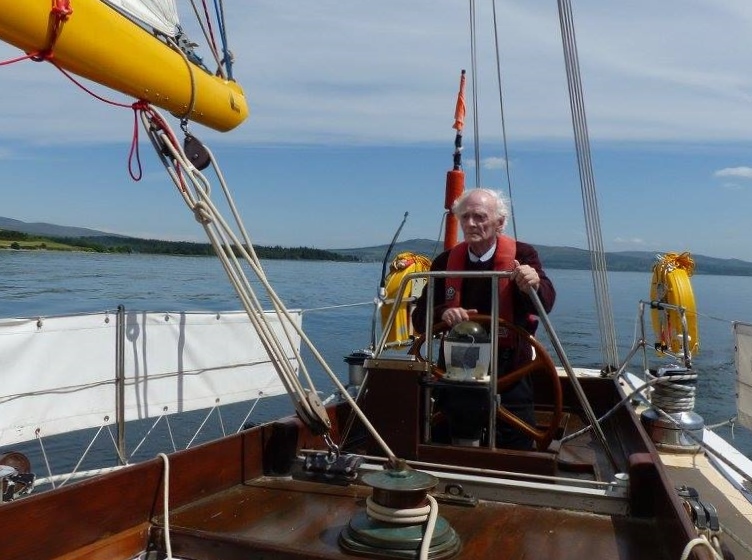 We are sorry to record the death on 23rd December 2018 of Tony Walker, who singlehandedly turned Sceptre into the fine cruising yacht she is today. All of us who have enjoyed sailing on her over the last 30 years owe him a great debt of gratitude. 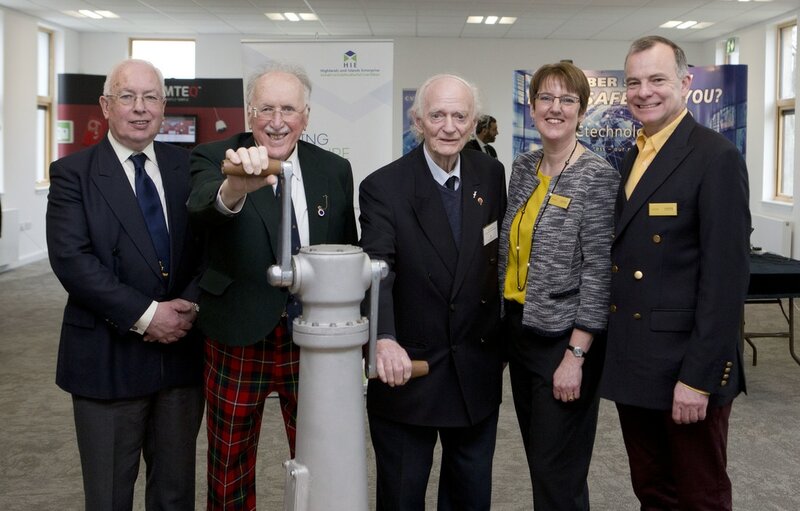 His obituary can be seen here, and an account of his project to rescue Sceptre can be seen on our History pages.